North Cascade Land & Home Co. is the Methow Valley real estate broker for people that fall in love with this beautiful area and want to embrace a simpler rural lifestyle.To insure that you get the best possible Real Estate experience, we offer you our knowledge of the area together with experienced professional service. We are an independent owned and operated local business that focuses on quality and exceptional attention to details. Having an expert Realtor to navigate the purchase and sale of property is priceless. North Cascade Land & Home Co. works for Sellers listing property in both the Methow Valley and Chiliwist Valley.Whether you are a first time home buyer, a primitive spirit looking for pristine land or a seasoned investor, let us be your guide when you begin search for property. There truly is something for everyone here! The natural landscapes inspire & refresh one and all.Methow Valley living embraces strong core values that create engaged individuals and community. Come and see for yourself! 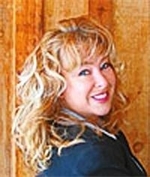 Personal: Tricia Eyre is the Broker and Owner of North Cascade Land & Home Company established in 2007. It is our goal to offer the client or customer a professional,fun & refreshing approach for any of your real estate needs with a capable team of associates at your service. Tricia has called the Methow Valley home for over 25 years with her family and horses. "How great it is to live in a place that has trails galore to ski,hike,bike,and horseback ride within minutes from home. Along with clean air,pure drinking water, beautiful landscapes in all directions, and a wonderful community I have to say,Paradise found!" Tricia has practiced real estate since 1993, successfully helping Buyers and Sellers with all aspects of Real Estate investment. She is known as a 'Top Producer'in the Methow Valley Real Estate community for several years. Ms. Eyre opened and established her own Real Estate Brokerage Company that is located in Winthrop, Washington at an original Homestead house surrounded by plantings of Homestead Roses & Lilacs that date back over 100 years ago when the pioneers came to the area. For a touch of Real Country Living please enjoy the North Cascade Land & Home Company website, or better yet come and see us! I moved to the Methow Valley with my husband in 2002. We are located on 60 acres just two miles from Winthrop with a territorial view down valley toward Twisp. From that location we can walk to town, ride horses on State property, bike, ski or snowshoe or within a short driving distance find places to ride four wheelers, hike or snowmobile. We have two sons, a daughter and two granddaughters who visit as often as they can because with the valley offering so many varied opportunities for activities or relaxation it's like going on vacation from their fast paced city lives. We enjoy the Methow Valley with its friendly people and rural setting and, frankly, find excuses to stay close to home.